The first step must be to evaluate each diet to confirm whether it is actually good for your health. There is little point in undertaking a diet which will allow you to eat all your favorite foods but will not make you any healthier. Once you have removed the diets which are not actually healthy your list will be much shorter. The next step is to study each diet and see how practical it is to include in your current lifestyle and level of activity. Your choice of diet will need to be stuck to for the long term and it must be something that you are comfortable doing. It should fit with your personality. Supplements: No diet should encourage you to take a high level of supplements. The nutrients and minerals you need should be included in the diet food. Protein Diets: Diets which are high in protein are likely to be detrimental to your health. They persuade your body to go into a state of ketosis which is akin to starvation. This can place a huge strain on your kidneys, liver and even your brain. Food groups: Any good diet should include food from all the food groups. If it advises you to avoid dairy products completely it is likely to be detrimental to your health in the long term. Too Good To Be True: If it sounds too good and promises the earth then walk away! No diet is that good! Special Foods: These may be essential for an immediate weight loss and can even be healthy short and long term. However, unless the specialist shop is very close to you it will become a drain to keep purchasing the correct diet food and you will end up quitting. Credentials: Diets which are created or endorsed by medical professionals are more likely to provide good advice. This does not mean any diet endorsed by a professional is good but it does have a better chance of being healthy. Rapid weight loss: If you are promised rapid weight loss it is highly likely to involve rapid weight gain later. Your diet must be a healthy eating plan for life; any weight loss will be gradual. Of course, as you grow older your dietary needs change and you're less likely to recover quickly from fatigue or strain caused by exercise. There are three main things you need to ensure are in your diet to avoid this. Vitamin D deficiency is a comment risk for everyone - but it can worsen as you get older. It isn't contained in many foods, instead mostly coming from sun exposure. Having a deficiency can lead to osteoporosis, muscle weakness and arthritis. Taking a Vitamin D supplement can reduce the chances of this, and combined with exercise will help you build back your muscles to a point were you can be self-sufficient again. Calcium is also important for bone health, and above 50s are recommend to consume at least 1200mg a day. This can be a challenge, as with age often comes smaller appetites, so many people choose to take a supplement instead. It's incredibly important to take enough calcium if you're going to start doing exercise - weak bones increase the risk of fracture, which could set back your goals a long way. Vitamin C is just an all-round general good thing. It's great for your immune system, preventing you from getting all those colds and coughs you dread. The reason it's vitally important for you to take alongside exercising is it's role in wound repair. Vitamin C creates collagen, a component necessary for healing. If there's any risk of your damaging yourself with exercise, you'll want to make sure you're healthy enough to repair it. When it comes to taking supplements, you can either take the main three individually or look into multivitamins. Many companies do senior-focused multivitamins, designed with proportions that are right for your needs. Unless your doctor has told you to take iron supplements, it's probably best taking one that doesn't contain it since it can be risky for seniors. A diet or healthy living plan is not complete unless you include exercise into your daily routine. Exercise is key to improving your health, increasing your muscle mass and therefore increasing your daily calorie requirements. Exercising can increase mobility and self-sufficiency in Seniors It is essential to choose an exercise regime that you enjoy and is close to your home; this will ensure you stick to it for the long term. One of the real difficulties of starting exercise once you're older is getting into it. If you have joint pain, or arthritis, just moving can be a real challenge. Water-based exercise is great for this, as the water will support your body weight - meaning there far less stress on your joints. Often, you'll be able to find senior-focused classes offered at local swimming pools, but if not, even just starting off by walking around the pool and doing some mild stretches can make a huge differences. Aerobic exercise is great because it's an all-round workout that can be varied to suit your needs. You want to increase your heartrate, but not the point where it's struggling. A great way to test this is to talk while you workout - if you can have a conversation easily, then you need to work harder. If you're struggling for breath, it's time to slow down. You can combine aerobic exercise with water-based exercise too! One of the things seniors often struggle most with is flexibility, and it can be tough to know how to improve this. Yoga or Pilates are great ways to safely do this - as long as you find a teacher who understands the needs of older people. There are some yoga poses that aren't appropriate if you suffer from joint pain, so make sure they're clued in. One of the main advantages of yoga is that it can strengthen your ankles and knees, therefore helping reduce your chance of falling. You're also never too old for it - many people join after they've hit seventy! As well as yoga, you want to look into balanced-focused exercise. One of the greatest risk of movement loss is the risk of losing your balance. Try to focus on balance exercising - there's lots of help available on line with certain routines you can do. 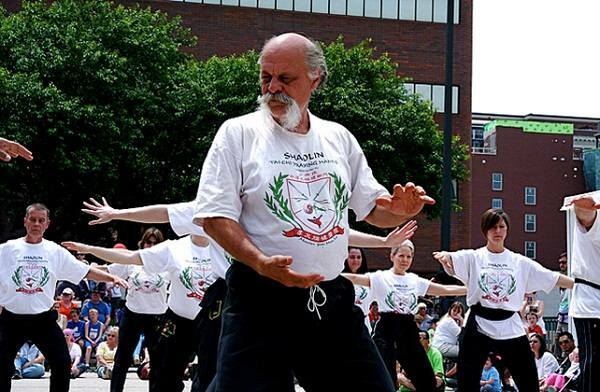 If you'd prefer the safety of a class, tai chi is slow moving but focused on balance and is very popular with seniors. If you're in your 50s, and you plan to lose a significant amount of weight it is essential to contact a doctor's office first to confirm your chosen route is safe and will not conflict with any medication you are already on. Consult with the specialists from Forest Healthcare and you might just be on the right path to losing weight effectively in our 50s. Thank you. I’ll back with results. 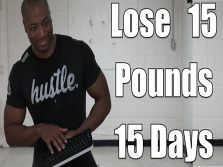 I suffer with Crohn's & im trying to lose 30 lbs... I'm 5'4 almost 50 & always fluctuating between 180-195lbs. I do your chair to chair running/walking excercise but may need supplements for energy. I do take iron....But not motivated feel sluggish with low energy....Any advice is appreciated. 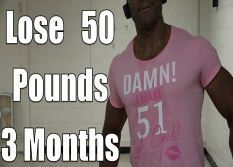 Adrian do you have anybody who has lost over a hundred pounds sitting down doing your workouts? I am 64 and female. I weigh 267 pounds and need to loss at least 65. I have had back and foot surgery. I need help. I try and I can lose some but quickly regain it. What do you suggest? Hi. I love doing your bike workouts and plan on doing some of your other workouts to trim my waist. I'm 55 and needing to drop 16 more pounds due to heart disease and pre-diabetes. I've lost 8 so far but have that slow 16 to go. I also have to be on a Fodmap diet so can I still get away from counting calories? I was told by Boston Heart I have to eat 1220 calories a day to drop that 26 pounds. I had a cheat day today for the first time in 2 months and I felt guilty. I've been off possessed sugars for 2 months and I feel great! Have any suggestions for me on how to lose that last 16 pounds.? Do I just keep doing your bike workout? That's all I have and I love riding. I do have a problem keeping my heart rate below 150 though. Thanks ahead of time! how many calories do you eat on the fodmap diet? So because I'm 50, about to be 51, I'm a Senior? Not hardly!!!!! That's the true, because I'm 53 and do feel any different than I did when in the my 30's. I just ran this morning. My energy levels are great, I have to workou super hard just to feel like I had a workout. Seniors, I don't think so. Found your 10 minute walk/rest for 10 minute plan which I use to finish my 45 min workout. As an ex college and pro football player my knees are shot and one has been replaced so far so I have to walk fast on incline. Started 3 weeks ago 5 days a week but no change yet but I know how these things take time. The holidays don't help but New Years is tomorrow so come next Monday I plan to get real serious on a 40 lb weight loss. Any other suggestions? 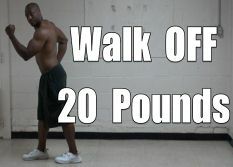 I'm 280 now at about 6'1 but in pretty good shape except for this guy I want to get rid of. It's actually gut I want to get rid of. I'm happy with the guy! start off with this plan here and work your way up to one of the other plans here.